This is a pretty cool RC toy from Japan. 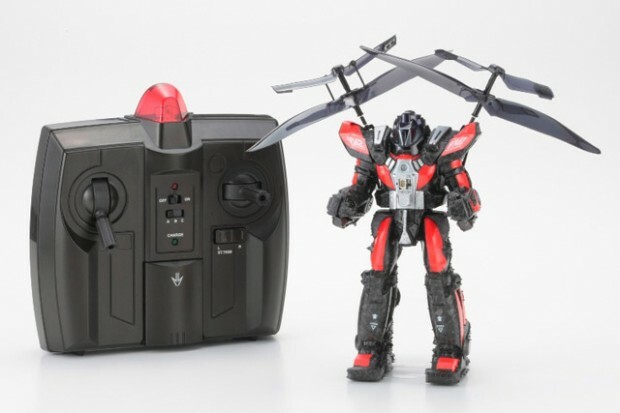 Bandai has announced the Sky Armor, a remote-controlled robot that can fly around using not one but two propellers. The robot stands 17cm tall and weighs 21g. One battery charge (30 minutes) is enough to play with it for 4 minutes. The Sky Armor will hit Japanese stores in the next days (price: $45). Contact specialized stores Japan Trend Shop, Geek Stuff 4 U or Rinkya to get one shipped outside Japan since it’s unlikely the robot will ever be sold outside this country.